The FSVC family is deeply saddened by the loss of our beloved friend and colleague, Nevine Dakroury, who passed away in Cairo on April 21, 2018. 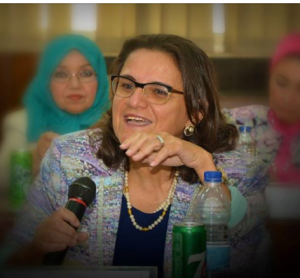 Nevine had been FSVC’s Country Director in Egypt since 2012, and oversaw our programs to promote entrepreneurship and increase access to finance for entrepreneurs and SMEs in Egypt. Nevine was an integral part of the Egyptian banking community, having worked as the Director of Strategic Development and Quality Assurance at the Egyptian Banking Institute (EBI), and in the Egyptian commercial banking sector for over 20 years. Nevine was a tremendous asset to FSVC, bringing her wealth of experience and passion for development to our programs. Her professionalism was matched only by her profound kindness and generosity, and she touched the lives of many individuals, including numerous FSVC volunteer experts. She will be missed beyond measure.